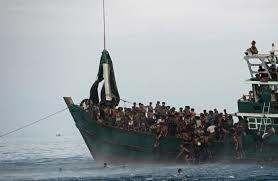 We remain deeply concerned by the situation of the Rohingya, including those in Rakhine State, and the thousands of people, including Rohingya, reported to be adrift in the Andaman Sea and Malacca Straits in desperate circumstances. It is vital that Burma addresses the longer-term issues which lie at the root of the problem – namely the desperate conditions in which Rohingya communities are living in Rakhine state. On 18 May the Minister of State for Foreign and Commonwealth Affairs, my right hon. Friend the Member for East Devon (Mr Swire), called the Burmese Ambassador in London to the Foreign and Commonwealth Office to express our concern at the situation, and press Burma to take urgent steps to deal with the humanitarian implications of the crisis, as well as the underlying causes in Rakhine State. Furthermore, on 18 May, our Ambassador in Rangoon joined EU and US Ambassadors in delivering a collective demarche to the Burmese government. We have had many similar conversations in the region and more widely, urging all those involved to work together towards a regional solution. The UK is playing its part to resolve the dire situation in Rakhine. Since 2012, the UK has been one of the largest bilateral humanitarian donors in Rakhine State. We have invested over £18m in humanitarian support there, which helps to provide shelter; water sanitation and hygiene; nutrition and protection activities; and non-food items for over 122,000 people. We also strongly support the UN’s coordination of the international humanitarian response. But it is also clear that this is an issue that requires a comprehensive regional response, and as such we welcomed the Thai authorities’ decision to call a regional summit on 29 May to tackle the broader issues. Our Ambassador in Bangkok attended this summit as an observer. 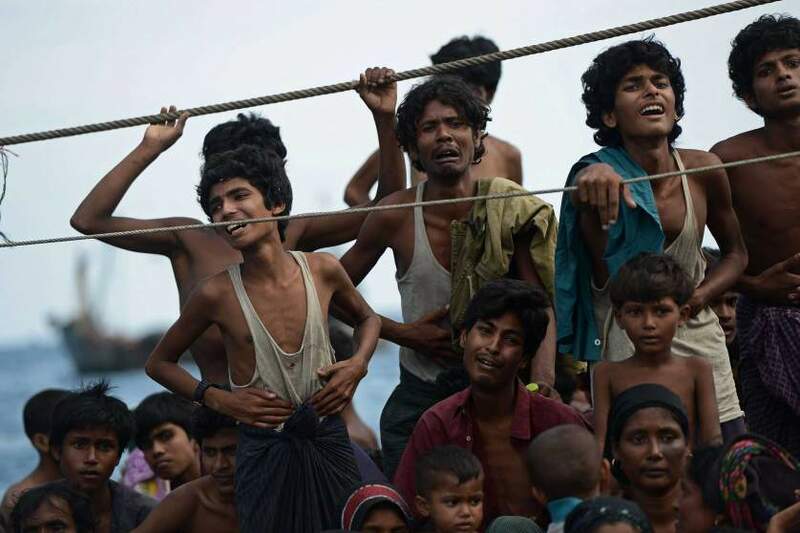 We also very much welcome the 20 May decision from the Foreign Ministers of Malaysia, Thailand and Indonesia, to provide humanitarian assistance to the Rohingya and Bangladeshi migrants. Date and time of answer: 04 Jun 2015 at 17:05. To ask Her Majesty’s Government what steps they have taken to encourage the reversal of rations cuts for refugees from Burma in camps on the border between Thailand and Burma; and what is their current estimate of the number of men, women and children in those camps. The Department for International Development engages regularly with other OECD donors on assistance to the refugees from Burma in camps on the border between Thailand and Burma, and convened a donor conference with The Border Consortium (TBC) in April 2015, partly with the aim of encouraging other donors to maintain appropriate support to TBC. DFID approved a renewed project for conflict affected people from October 2012 to November 2015, totalling over £27million. This project includes our support to the refugees for food, shelter and other relief items. In March 2015 DFID agreed a £6.67m additional cost extension for the project to January 2017. To ask Her Majesty’s Government what assistance they are providing Philip Blackwood, who is imprisoned in Burma. The New Zealand Embassy in Burma is leading on providing consular assistance to Mr Blackwood as he travelled to Burma on his New Zealand passport. They have been in contact with his family who are resident in New Zealand. Our Embassy in Rangoon has provided advice and support to the New Zealand Embassy on Mr Blackwood’s case and we will continue to discuss with them what further assistance we can provide. We have raised the case with the Burmese authorities and made them aware of our interest in Mr Blackwood’s welfare.